I'm going to be sharing with you exactly how to link up your self-image with the best version of yourself and I'm going to show you how to do this under the context of Reality Transurfing. Today, I'm going to be sharing with you exactly how you can powerfully change your self-image, but also not just that I'm going to show you it in the context of that of Reality Transurfing, which as many of you know is a process that I've shared before and it's what I believe to be one of the most powerful manifestation processes I've ever found and even beyond just that of a manifestation process. It's also a philosophy, a way for seeing the world of understanding this correlation with what we think about, what we experience and how to balance our energy towards that. 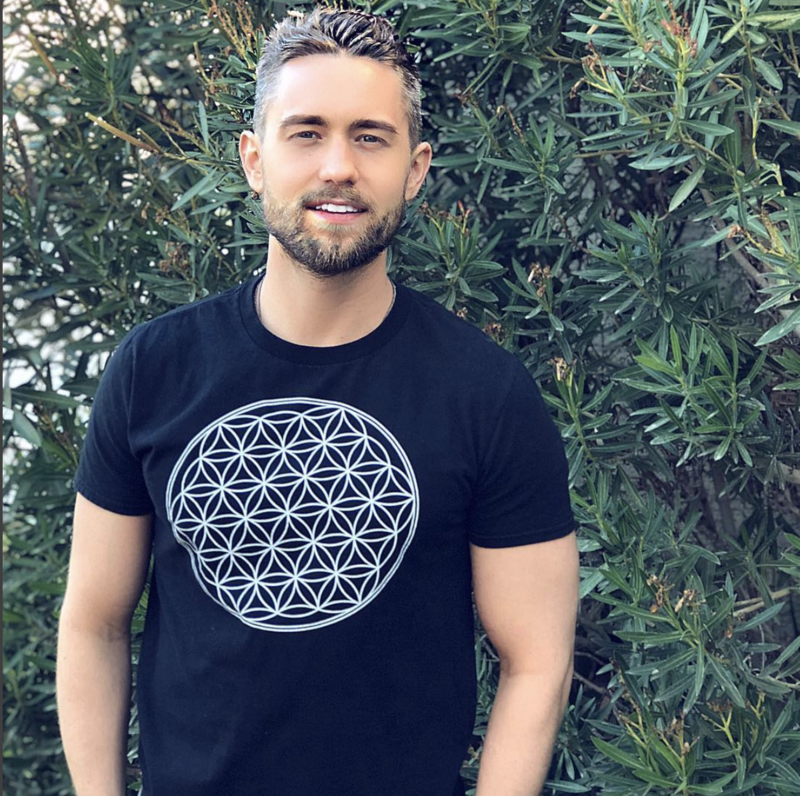 How to let go of the outcome and different techniques that we can use to really wire it into our consciousness. And this also has to do with as far as Reality Transurfing goes with knowing that there's an infinite number of parallel realities that exist. This kind of encapsulates a whole different version of the Law of Attraction that normally isn't looked at in a lot of. It's actually backed by what quantum physics is showing us as well, which is cool because the author of the Book Reality Transurfing is actually a quantum physicist in Russia. It's a book that's now starting to get a lot more headway because it's being translated so many different languages and it's when I've shared a lot, it's one that I literally think is the most powerful way that I found going about things because it really takes into account the energy, the vibration, more so than just that of the thinking. 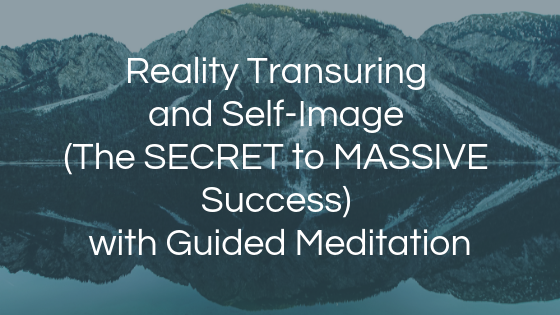 Another thing you'll notice is that at the end of this blog, there is a guided meditation. I think it is the most powerful guided meditation I've ever created. It's the one I get the most. People that reach out to me sit that say they listened to it every single day that it's changed their life. It's a self-image meditation that uses NLP, neurolinguistics programming to really wire it in. That's why I've chosen to put it at the end of this blog, but I also want to give this blog context so I'm going to be explaining to the beginning how to wire this all in before we go into the meditation. This is a little bit more of a whole process for it, but nonetheless, self-image. I've spoken about the self-image many times are and it's about understanding that however we see ourselves, however, we see ourselves. That is what is called a cybernetic mechanism. It's a set point just like there's a thermometer over there on the wall. If I set it to 75 degrees and the window were to open or to start to get hotter, it's set there as a cybernetic mechanism, so then the AC would kick on to bring it back down to 75 degrees. It's hot here in Vegas, so that's normally what will happen and it'll bring it back down to 75 degrees because it is a cybernetic mechanism. In the same way, if we go about life and we're thinking to ourselves, okay, well let's say we see ourselves as only able to make $50,000 a year. Let's see yourselves as overweight. If this is how we see ourselves and even if we take all of our energy and we put it into us making 100,000 dollars a year or us being and losing that weight. Even if we focus on losing the weight and $100,000 a year, unless we see ourselves as able to do that, unless it's part of our new self-image, then we keep creating what are called subconscious blocks. The subconscious mind is going to bring those experiences into our life that says, hey, this isn't who you are. They could be that. We're going to get a raise at our job and then somebody steps in the way. Or it could be that something happens. Metaphorically speaking, of course, or it could be something happens with losing weight and you keep getting this temptation to eat something else. That temptation is the old self-image. What I have found is powerful is to almost look at ourselves images as different versions of us. The reason this is because when we can start to identify with the best version of ourselves, we start to let go of what doesn't serve us and we start to let go of the versions of us that aren't serving because we can then identify them and see when they are creeping back up. Understand also the purpose of that, of the subconscious mind or of the old self-image is just to keep you to survive. It doesn't want you to do things that are scary, things that are unknown because what could happen, it wants you to say, okay, this is familiar. This is who you really are, so just keep doing this, this over and over again because it wants to survive, which is a very loving type mentality. However, it doesn't really serve us when our intention is to grow. The thing is when we look at that and we say, oh look, this is trying to get us to feel a certain way. This is trying to tell us something, trying to tell us, let's be safe. You can acknowledge it and be like, know what I'm going to do is I'm going to be safe, but I'm going to be okay. You can almost talk to your old self-image, but I go, it's okay. I know you're trying to help me out, but this is what I'm going to do. I'm going to still go through with this because I know that it will help me in the end. I know I'm going to learn something from it. I know there's something good to come from it. And then as you take action from that place, that's where everything begins to change because then you start to embody a new frequency. You start to embody a new pattern and that's what I've personally done. I imagined myself as the best version of me that is traveling the world that is speaking in front of people and doing seminars that are going to eat at amazing places saying those great hotels and going to good restaurants. That's how I view myself and I view myself as that right now and what I know is that as long as I continue to do this, as long as I continue also to take action from that place from point of view. For example, if I were to get scared of having an opportunity to do some type of speaking event, then I would acknowledge that and be like, oh look, it's the old self-image that wants you to say comfortable. No, just make YouTube videos, Aaron. That's what you're good at. That's what you're used to. Just do this and don't worry about that. You know you don't know what will happen. That's the old self-image and I can acknowledge the old self-image and be like, thank you. Thank you for looking out for me. However, I'm going to move forward with this because I know there's something to learn from it. You see, this is how we can begin to talk to the different aspects of our own consciousness, the different versions of us because they all have a different type of intentions. This doesn't mean that we have to have multiple, multiple personalities, but at a fundamental level, we already do. There are different states of being when we're different types of people. It's just that world. It's those are both to you. It's just there are different versions of our state of being that defines how we are being in the present moment. This is about having that awareness and being aware of how we could start to push forward with the one in the version of us that we prefer. Let's look at Reality Transurfing for a minute. First off, just to give it a very general overview Reality Transurfing is a powerful manifestation process that has to do with understanding our energy and how our energy correlates with what we experienced. First off, there's an infinite number of parallel realities that exist and this is called the space of variations, and even if I do like my hand like this right now, I'm shifting through different parallel realities. Each frame is each movement. What we think of as time is the movement through different parallel realities because it all exists right now in our experience, the way we perceive it as that it's all happened literally, but that's just a side effect of time, space, reality at the fundamental level, they all exist now in the present moment and every choice that we make, every state of being that we have is shifting us through these different parallel realities. The idea of Reality Transurfing is to surf through the space of variations. Think about how easy that found sounds to surf through the space of variations to serve through the parallel realities to the one that you want versus trying to create everything, and I've shared this many times. I think it's one of the most powerful ideas when it comes to this whole process. Normally when we think of the Law of Attraction process, what do we think about? We think I am here and I want to be over here and I have to create my own reality to get there, but think about how much trying that includes, how much do you have to really go for it, how much have to put in to try to create your own reality? It's just at a different frequency, so all you have to do is match the frequency of it and you will begin to experience it. You will begin to glide through the space of variations. You don't have to create it because it already exists. This is the lifestyle of Reality Transurfing. There are one or two main parts I want to talk about here, and that is one of the most important parts. Paradoxically speaking, is this whole idea of importance, so anything that we give excess importance or excess meaning, we immediately put it on a pedestal and distance ourselves from it. The most common understanding you can have this, have you ever had someone who had a crush on maybe you were younger or even more recently had a crush on someone and because you had a crush on someone, you put them on a little bit of a pedestal and you thought they were just the coolest thing ever. You thought there were so cool. Every time you talk to them, you're really hoping that everything goes well with them, or what a lot of times happens if you put someone on a pedestal. Then what happens is, metaphorically speaking, there are these balancing factors that come into play that neutralize that excess. Meaning we're giving things that importance. We're giving thing so it's almost like we put it on a pedestal and then the universe kicks out one of those pedestal stools so that then it falls over because the idea is to have it as a part of what is natural. Maybe you had a crush on someone and then they felt either resistance around you because you are really hope and everything went well or it just so happened that things didn't work out because of that resistance and that excess. We knew we were giving it, so it's kind of funny how it works. Funny, a little bit sad sometimes, but it's the idea of understanding. This is about understanding that sees things as natural for you. This is where I'm going to be mixing that of reality. Transfer surfing with that of understanding the self-image. See things as natural so when I view my self-image of me traveling the world, being in front of a lot of different people and doing speaking engagements, what I do is I see that as natural for me. I don't put it on a pedestal, and I'm like, oh my God, that would be so amazing if that happened. I'm like, more so like that is natural for me. You still have a connection to your heart. You're still passionate about it. Doesn't mean you have no emotion. It just means that the emotion is a natural vibration of who you are. Another important part, important. Paradoxically, I always catch myself of Reality Transurfing is that connecting to your heart space because the heart space is where all the power is. Make sure your goals are aligned with what you're really passionate about. That's when things really began to happen, so I see myself traveling the world in front of other people, doing seminars, enjoying connecting with the people all around the world. I see that as natural for me. That version of me, that self-image of me sees that as a natural part of my life experience now to my self-image here, self-image in the present moment. I may look at that and go, Whoa, that looks really cool. That would be awesome to experience, wouldn't it be so cool? But that's what happens is then I am distancing myself from that parallel reality, that parallel reality vibration is different than this one at that point. The key to this process is to see things as natural and as you see things as natural, you are able to then see that you start to vibrate more with it. How do you do that? How do you see things more as natural where you have to first off, where well you have to first off have the self-image that is just you? When I think about how I view myself, I first off become aware of how I view myself. I view myself as somebody that's on YouTube that makes these videos, and then I also view myself as another characteristic of me as somebody that likes to speak. Somebody that likes to do live events, likes to interact with people. I started to view that as myself and the more I view that as myself and I start to act like that, the key is to act from that space to literally be embodying that. Then what I do is I start to vibrate with that frequency. The key to always changing our self-image is a couple of key steps. One of the steps is to always become aware of what your self-image is. Because most people self-images, there's an autopilot. They may be making $50,000 a year and they may say, I want to make more, but they don't know that they already see themselves with their self-image is only able to make $50,000 a year. I'm going to focus on $80,000 a year. I'm going to focus on a better car, a better house, focusing our focus and our focus on it. Then what happens is they go out and they see it. They're like, well that's a house. That's more. That's what would it be? Perfect. That's the car I want. I'm seeing more of it. This is great, but what happens is unless they internalize it and they see it as possible for themselves, as long as they. If they're able to embody the emotions of that version of them and to embody the actions of that version of them, how would that person be acting? Then they start to really embody it at a completely different level, but the key is in the vibration. The key is in the awareness that that version of us already exists. We don't have to create it. All we have to do is choose it, choose it from that version of us and embody it into our vibrational frequency by taking action from that point of view, by embodying the emotions and by knowing that the more we do that, the more everything in our life begins to change. This is really more about the awareness of reality in general, that all of the different potentialities exist. The version of me is doing exactly what I love. Traveling and giving seminars already exists because everything exists here and now and there's an infinite number of parallel realities that exist. The key is to embody that version of you and to know that the more you embody that version of you, the more you are shifting your vibrational frequency and the more than you can experience what you want, but the key to this is to first off, become aware of your self-image. Once you become aware of your self-image, what you can do is you can bank it. The thing is you want to thank it. You want to allow it to be there because if you don't, then you resist it and then you almost hold it into place. Say thank your self-image. Thank you for trying to keep me to survive. Thank you for keeping this as part of my reality so I don't drop below it, but I'm going to still do this because this is actually more conducive of who I prefer to be. It may seem scary, but I know I'm going to learn something from it so we have that little dialogue with the current self-image and it helps us to detach from that self-image and to realize we are so much more and then what we do is when we decide to why you're in the new self-image, but the key what makes this different than all my other self-image videos as what you want to do is you want to imagine that version of you and you want to imagine that version of you have these things being natural for it, for that version of you, so it's like it's natural. It's not like it's on a pedestal. It's not going to be anytime we think our goals are going to be. This is a static, blissful feeling. It's normally off the mark because we have such high expectations. It's more about connecting to our heart, still being passionate, still feeling love and excitement, but it's not like this. This unsustainable type thing that we put on a pedestal where it's like, oh, it'd be so amazing when this happened and this happens, and then thinking it's going to be this amazing, amazing thing only to be let down that it's more natural for our self-image. See things as natural. If you see it as more of natural for you, doesn't mean that you stayed to this natural self-image as natural for the self-image that you prefer to be because as you do that, you begin to wire it in. Then begin to take action from that point of view, begin to know that the more you do that, the more everything in your life begins to change because then you start to re-pattern your vibration and the more that you become aware of your self-image, you thank it for being there and then you decide to let it go and then you were in and condition the new version. Have you seen things as natural? That three-step process there will change your life if you apply it, especially if you do it every single day, and I also have many meditations I can help with this. The meditation you will see here in a second is going to be that of a self-image meditation that will help you to wire in that self-image that will help you to become the best version of you and to understand that as you wire this in, it changes just about everything. And this meditation will use NLP. This meditation I believe will absolutely change your life. I think it's one of the best meditations I've ever created in my life. Be honest with you, just science and it's one that I get so many messages from people saying that it's helped. With that, it's going to be here in a second. I recommend you listen to it with headphones if you can, and I think that if you do so, it will change your life. Make yourself comfortable either by sitting down, laying down on your back. Begin by taking a deep breath in through your nose and let it out through your mouth. Take another deep breath. As you exhale, relax. Let go. Any tension, breathe in again and fuel away relaxation through your body. And as you breathe out, let go any tension. Imagine your body becoming more relaxed with every breath. If there is any tension in your body, notice where you feel. Focus on that area, loosening up and feeling relaxed. Focus your awareness on your head. Notice the sensation in your face, loosen up any tension in your face and fuel it. Relax. Feel behind the eyes, release any tension. Relax your forehead, your jaw. Relax your tongue. Bring the awareness to your shoulders, field them, relax, release attention, your arms, your hands, what the awareness on your left leg and foot relax your toes, your right leg and foot relaxed your toe, and now imagine a ball of energy into your heart center. It can be any color you like. Feel from this space and notice the sensation that is beginning to grow. Imagine this ball of energy spinning faster and faster as it's been you are feeling more and more. Relax more and more control, more and more right, your true, authentic self. Visualize the best possible version of yourself you can imagine. Imagine what you would be doing in a certain scenario. Maybe it's doing your passion for a living. Maybe it's an ideal job that you or running your own company, whatever it is. Imagine imaginative vividly in detail. Imagine how you would carry yourself. What kind of body language to you? How do people respond to you? What are you seeing? Imagine the color is whiter and brighter. What are you hearing? Imagine the sound getting louder, louder. Most importantly, how do you feel about yourself? How does it feel to be doing your passion for a living? How does it feel to express yourself? One hundred percent? How does it feel for other people to acknowledge you for your gift that you share with? Go over to him and look at yourself. See how relaxed you are. There is a shine to face and a look in your eyes. As you look at yourself in the mirror, what kind of beliefs do you have about who you are? What are your beliefs about money? What are your beliefs about relationships? What can you accomplish in your life? How does it feel to know that you can create whatever you want in your life? As you imagine looking at yourself in the mirror, I want you to make the colors brighter and brighter. The colors are more vivid. You can really see yourself and feel that that is who you are. This is who you are. This is your new self, is who you choose to imagine that all of these affirmations are true for you right now. At this moment, repeat each affirmation in your mind or out loud with conviction. Use your imagination to believe each relaxation fully. Affirmation. I am a new person except myself. One hundred percent. Appreciate who I am and love sharing my energy with the world and the perfect body weight for me. I am confident and I trust the course of my life. I am a new person, a success with what I do. I am open to receiving new opportunities in my life. I can accomplish what I set my mind to be happy. I deserve to be successful, bonded tonight. I am who I am. One I love who I am and it is my natural birth desert. Confident in my choices, trust the course better to be me, spreadsheet my future. My future is full of opportunity and I feel I know and trust that things will happen. They are meant to happen. Great. Everyone in my life that people are excited to be around me. I am whole and complete. I love that. I don't need approval from other people. We're matching a ball of energy, making you feel relaxed and comfortable. Imagine all of the energy around your heart making you feel relaxed and comfortable, spinning faster and faster. This is yours. You are meant to be. Are going to release the old self-image for after. Imagine you were looking at a movie screen and on that movie screen, you see your self-image, the person you were before you. Listen to this recording that you is no longer you. That was the condition version of you. Imagine that version of you getting dimmer, dimmer. It's hard to even imagine the color now fade to black and as you look at this old version of you, you feel like it was you from the past. You recognize that now you can let that version of you imagine you are looking. Imagine you weren't looking in the right corner of the movie screen. You see sell them in the corner of this screen so you weren't looking at the elders are getting brighter and brighter. Colors are now more and the picture on the right-hand corner of the screen is getting bigger and now it covers the whole screen. This is now you can see this is your salary. This is who you prefer to be. From this moment on, you are a complete person. You will find people responding to you in a new way. People will notice a glow about you and how your energy is full and most importantly, you will feel completely different about yourself. You confident you except yourself. You feel new purpose within you grows day by day, matching that ball of energy around your heart, spinning faster and faster and more relaxation throughout your body. In a moment I will count to three if you'd like. You can choose to go to sleep, at which point you will find yourself drifting, peaceful sleep, and if you would like to remain awake, you will find yourself. Yes, take a deep breath in. Feel relaxation, your body. Take another deep breath. Exhale slowly taking one more deep breath and exhale, full knee feeling refreshed.